This is our first (successful) batch of home made sauerkraut. We may have had a giant failure the first time around, but we’ll talk about that later. More importantly, this batch was a huge success. It actually is very easy, as long as you pay attention to it while it is fermenting. First, we bought the book offered at this website. All the information you could ever want can be found in the book and/or the site. Then we got a fermentation crock like this one. Then we filled it up with red and green cabbage and salt. Every 5 pounds of cabbage gets 3 tablespoons of salt. We use Celtic Sea salt. After a day, you are supposed to see liquid brine in the crock as the salt pulls the liquid out of the cabbage. This never happened for us, even though the cabbage was pretty fresh. We added salt water until the cabbage was totally submerged. One tablespoon salt per cup of water. We added 10 cups to get enough liquid and probably should have added more. Our good batch fermented for about a month. We stopped it here because that was the taste of the kraut that we wanted. There is no set limit on how long it has to go. It just depends on what you are looking for. Less time makes for sweeter kraut. Longer time makes sourer kraut. Either way, I am amazed at how crunchy this stuff is. I have only ever had soggy canned kraut before now. And I hated it. Really, really hated it. To the point that I had no interest in making the sauerkraut at all. It was the man who convinced me it was worth while. I am still skeptical these days, but this stuff is leaps and bounds better than what I had thought sauerkraut was. Just like anything else we make for ourselves I suppose. Next time we will try out some other vegetables and see how that goes. Saving seeds for squash is basically the same for all different kinds. All you have to do is pull the seeds out of the squash before you eat them. Don’t cook the squash first because it will kill the seeds. The squash should be nice and ripe before you pick them as well. The best way to be sure that the seeds themselves are nice and ripe for saving, leave the squash to grow on the vine a little longer than you normally would for eating. You can still eat the squash, it just may taste a little different than the ones you pick nice and small. 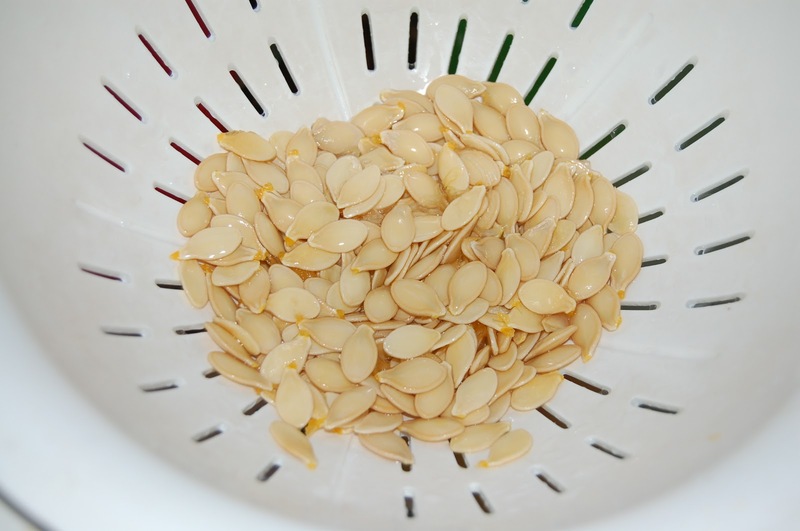 Once you remove the seeds from the squash, get rid of all the squash pulp attached to the seeds. I put the seeds into a colander and rinsed them off really well. If there is a lot of pulp, you can soak the seeds overnight first. The smaller seeds and the flat seeds aren’t the ones to save. You can roast and eat these. The nice, big, plump seeds are the good ones. Once they are clean, let them air dry really well. 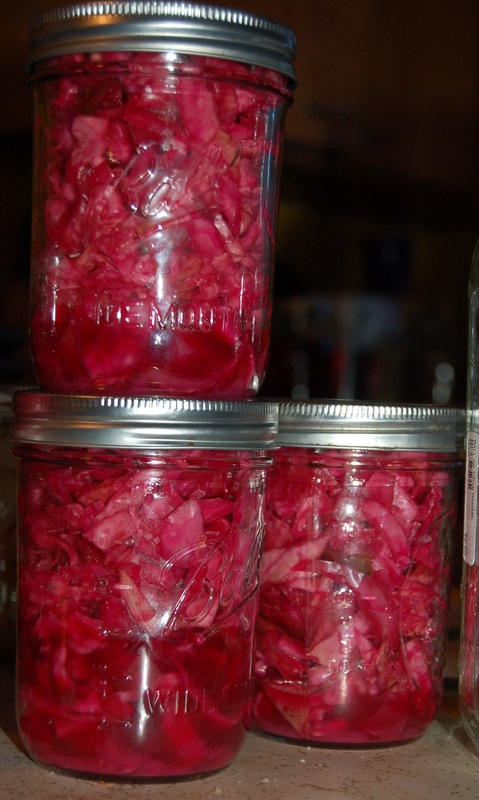 Store in an air tight container like a glass jar. 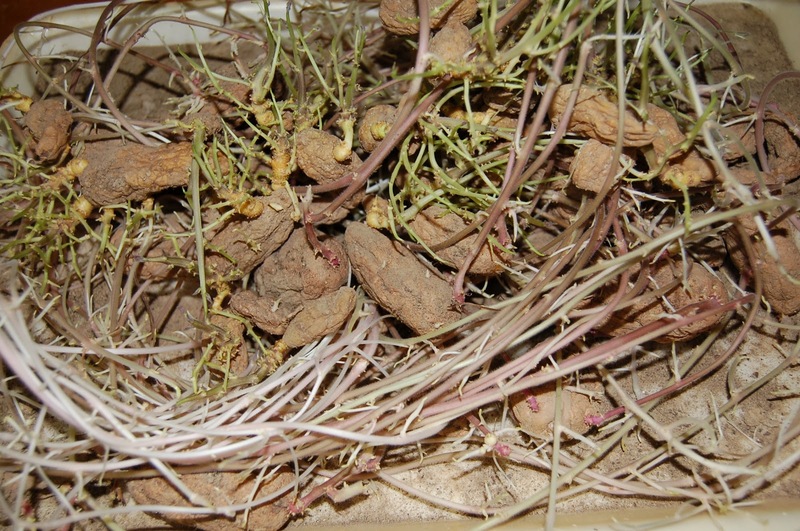 As with any kind of seed, try to save the seed from multiple plants, not just one. That way you have a good variety of seed to plant. That’s it. Seeds all ready for next year (for free)! I have to add that after my seeds dried I noticed that most of them were pathetic, flat, non viable seeds. This is because I picked the squash too early. I figured that this could be a problem, but figured I would try anyways. Next time I won’t bother. Now that I have this new future home we areobviously going to be leaving this one, and everything we have grown here, behind. I was lucky enough to have rented a place where I could plant a pretty good size garden. I spent lots of money buying plants and bushes that I want to bring with me. That would take up a lot of space though, ha ha. If only I could take a mini version of each one of them with me… Clearly it’s time for me to learn to do rootings. I broke down and ordered rooting hormone right away. I guess you can use willow in some way for a natural type rooting hormone, but I couldn’t get a hold of any for some silly reason. Anyway, this is what I did. 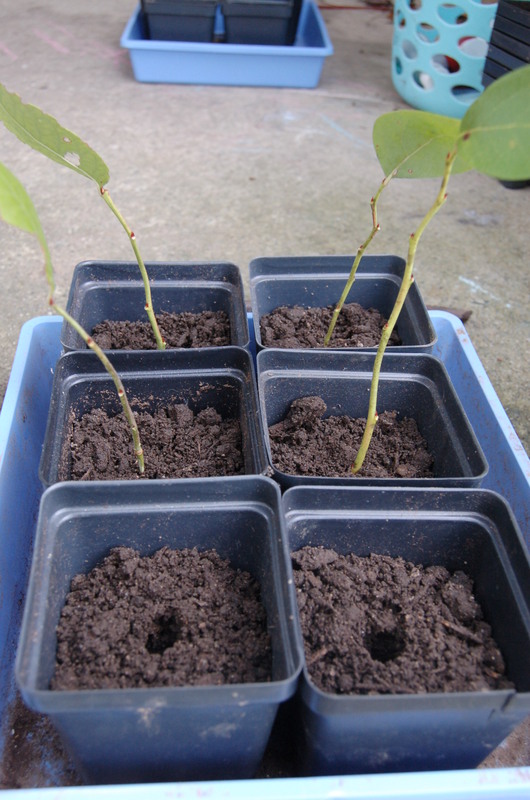 First, I took my nice sharp clippers and cut the growing ends of my blueberry plants. I’m not really how big they needed to be, but mine are about 6 inches. 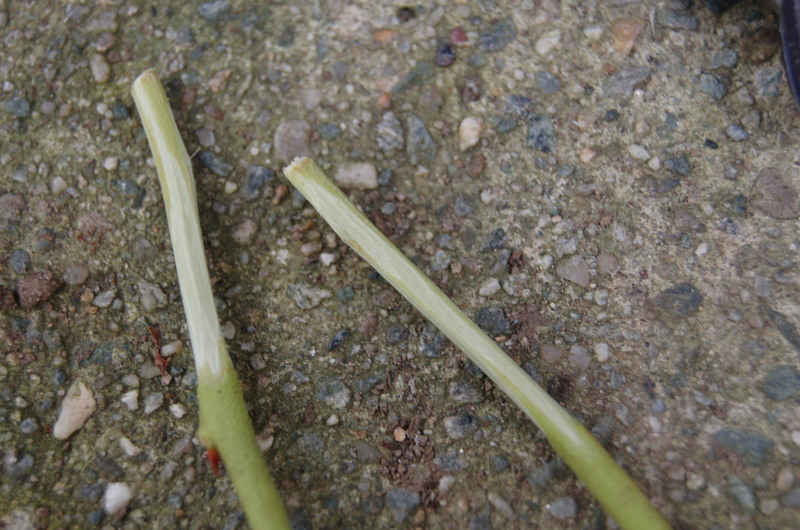 Then I pinched all the leaves but one off of the stem. 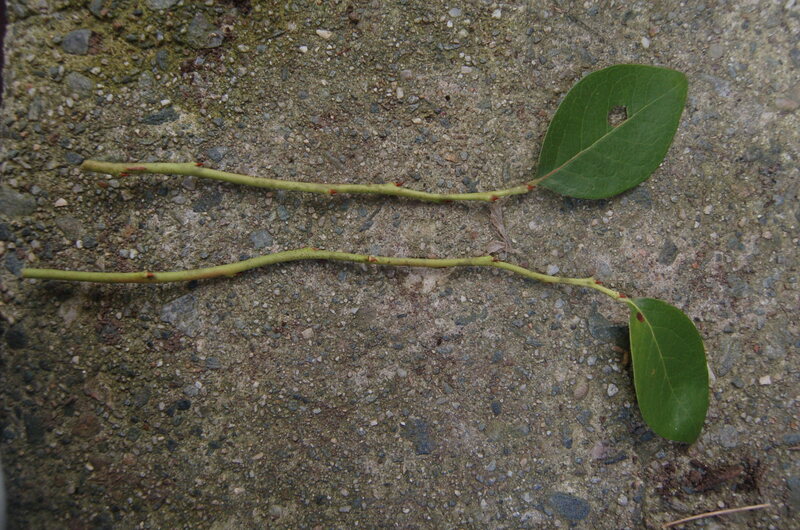 If the plant has too many leaves, it will waste energy that could be spent on growing roots. Once your pieces look about like this, get a very sharp knife and shave away the outer covering of them stem to about an inch from the bottom. This will be where the new roots are to form. The outer covering could prevent root formation. Next I filled all my little pots with compost. You want soft and fluffy so it can hold water well. Unfortunately, I waited too long to get something better, so my compost is kind of crunchy. I dampened the compost and made a hole in each with a stick. 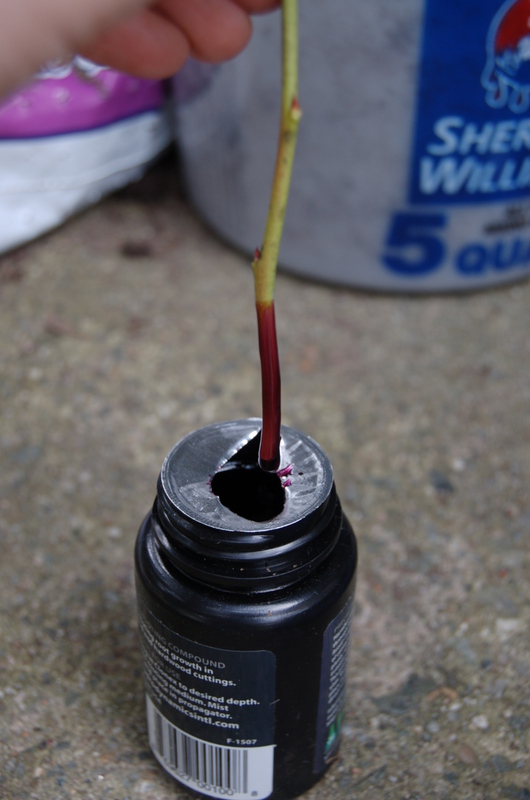 Then, I dunked each piece of blueberry plant in the rooting hormone and wiped off the big drips. I put each one in a prepared hole and lightly tamped the compost down around it. Try not to move the pieces around too much, you could wipe off the rooting hormone. This might not matter much, but I’m not sure. I read a couple places that you could take a plastic bag and rap it around each pot to make a mini greenhouse. I probably wont do this step. And that is about it. Very simple so far. Now I just have to remember to keep them watered. One last thing to add. When cutting the raspberry plant, it was still producing berries. I wasn’t going to sacrifice the berries, so I tried to cut the part of the plant that was just the leafy branch and not the growing end. It didn’t work. They withered in a day. Hopefully, the rest of the berries will ripen before it gets too cold so that I can still get these plant ends. Now we just wait and see what happens, and remember to water! I thought that by leaving my potatoes in my dark, cool basement would do well with them. Apparently not. I’m not entirely sure what the problem is, but these things seem to have grown all winter. I tend to think that the issue in my basement was that it got too light down there. There are some windows, but I didn’t think that it got too light. A few of the potatoes also looked a little bit greenish, which is what normally happens to potatoes when they are growing and get exposed to too much sunlight. Regardless, the potatoes will not go entirely to waste, I can make some sort of potato soup. This year my potatoes will be in pitch black however I achieve that. It’s official! We closed on the property today. We are the very happy owners of almost 8 acres out in the woods of Maine. 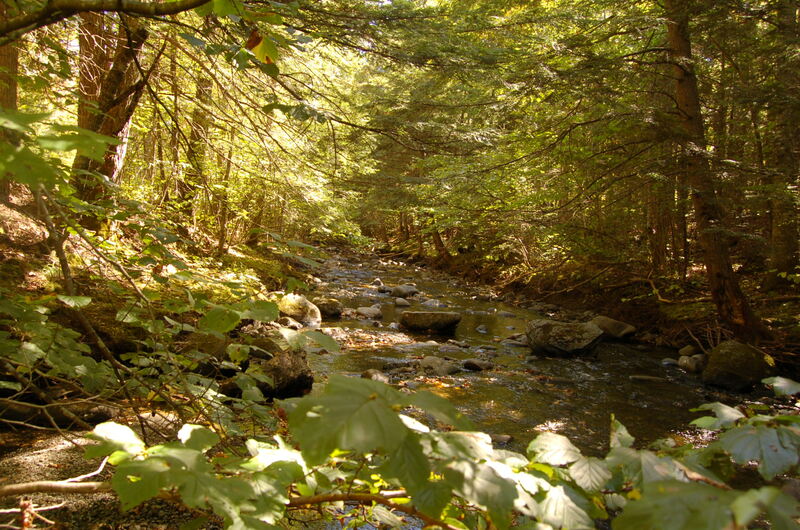 We have a stream that borders the lot where we can hopefully catch some trout. We have a pretty hilly landscape to build our underground house into. 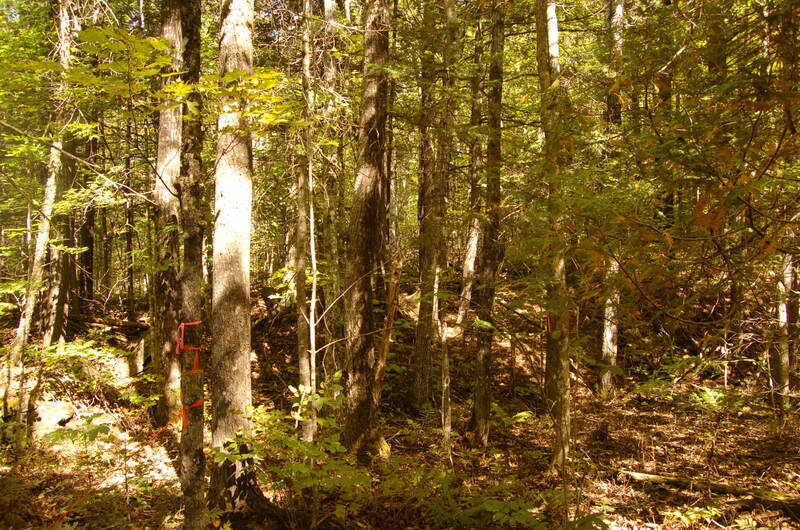 There should be enough trees to at least start building our home in the spring. There is also plenty of room for kids to play and gardens and orchards and whatever else we decide to have. I am working on the lot plans a bunch these days, so hopefully I’ll have something to share soon. The three years we spent looking was well worth it. I couldn’t be happier! Zuchetta rampicante is a unique type of squash. 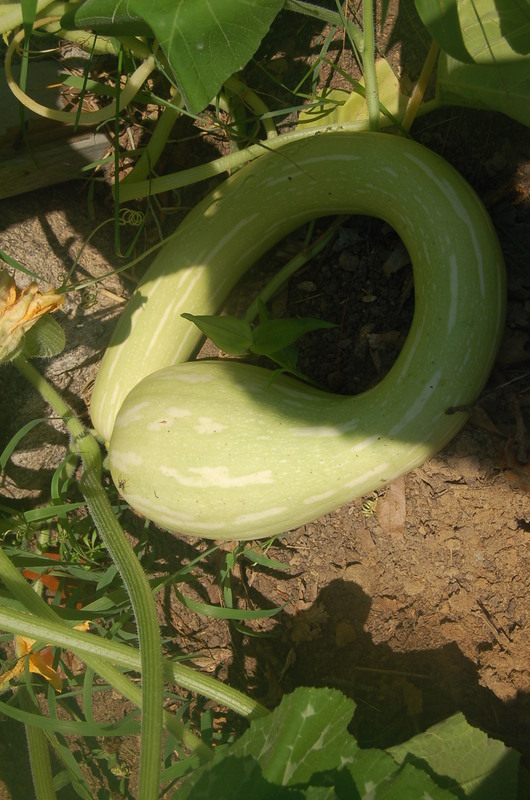 It can be harvested and used as a summer squash or as a winter squash. I picked this squash in the picture when I took the picture. I used it as a summer squash and sauteed most of it for my lunches. It lasted me quite a few lunches as it was at least two feet long. I would cut off a hunk of the squash and it would ooze a little and then seal over until the next time I wanted some. I stored it on the counter for two weeks like this as I ate it. Once I hit the seeds in the bulge at the end it when it did not store any longer. I ended up with a mold spot the day after I got to the seeds. I cut that part off and put the rest in the fridge. I did notice that many of the seeds were pretty immature, and I would like to save seeds, so I will be sure and let at least one of these squash grow on the vine much longer. I can use that squash as a winter squash. As the squash get older on the vine, they develop a thicker skin like a winter squash would. Apparently, the squash picked when they are older can store quite a while just like a winter squash. I plan to test that theory this year. I will continue to grow this kind of squash either way because it has proven itself to be a valuable addition to my garden and my kitchen so far.